Feminists, women and human rights defenders and gender equality advocates celebrate the launch of the Pacific Feminists Charter for Change at the Forum in November 2016. Photo: Shazia Usman, Pacific Women Support Unit. 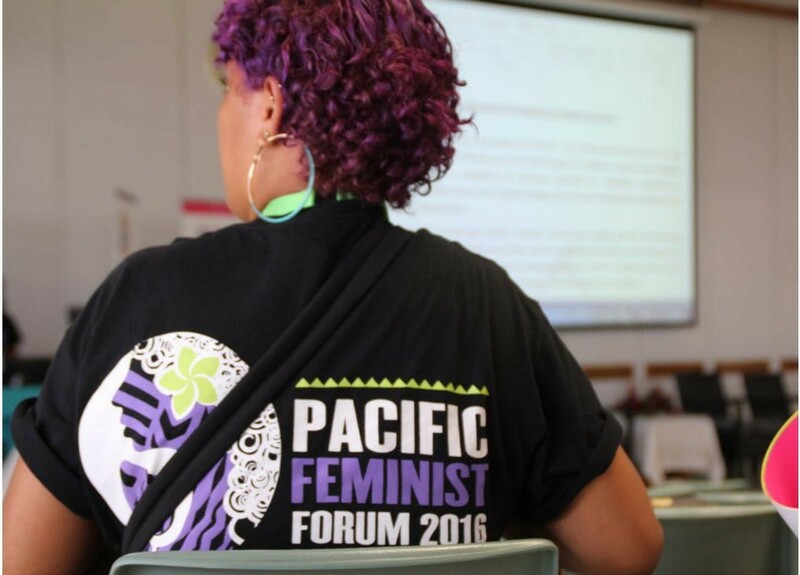 The inaugural Pacific Feminist Forum brought together feminists, women human rights defenders and gender equality advocates from across the Pacific. Participants joined in three days of networking, sharing and learning and launched the Pacific Feminists Charter for Change – a document that captures Pacific feminist perspectives and priorities. Creating opportunities for women to have a stronger sense of their own agency is one way that Pacific Women seeks to improve the lives of women and girls in the Pacific. The Australian aid program’s Pacific Women Shaping Pacific Development initiative supported the Pacific Feminist Forum as part of its funding for the Fiji Women’s Rights Movement through the We Rise Coalition. Inspired by the success of the Asia Pacific Feminist Forum and the Association for Women’s Rights in Development Forum, the Fiji Women’s Rights Movement brought together a steering committee to design an event to provide a similar opportunity for women’s movements in the Pacific. The Pacific Feminist Forum Steering Group included representatives from the Fiji Women’s Rights Movement, Diverse Voices and Action for Equality Fiji, Haus of Khameleon, Bold Alliance and the Pacific Young Women’s Leadership Alliance. explained Ms Michelle Reddy, Acting Executive Director of the Fiji Women’s Rights Movement at the time of the forum. The Forum was held in Suva, Fiji, during the 16 Days of Activism, November 2016. Forum sessions covered a broad range of subjects, such as sexual and reproductive health and rights, climate change, mining and issues affecting women with disabilities, and action-oriented sessions on coalition building, feminist and intergenerational leadership and the role of communications, activism and women’s rights in the Pacific. Ms Jennifer Wate, program manager with the West ‘Are’Are Rokotanikeni Association in Solomon Islands, said the forum broadened her knowledge and understanding of the diversity of the women’s movement in the Pacific. On the last day, forum participants launched the Pacific Feminists Charter for Change. The charter reflects the experiences of Pacific women and their hopes for change. It documents the issues raised during the three days of discussions and sets out the priorities for feminists in the region.